Kinesiology involves stress testing muscles (muscle biofeedback) to assess their integrity. You may have had similar tests done before by a doctor, physiotherapist or sports trainer. They would most likely have been testing the strength of the muscle or the range of movement. The types of kinesiology I use are to assess the energy flow through the muscle. By testing several muscles, we can see patterns of energy flow through the body, and make corrections to clear blockages. Usually this will be Touch For Health (TFH) kinesiology, which was developed by a chiropractor to help people maintain their general health and wellbeing. It is based on the system of meridians (energy pathways in the body) that are used in acupuncture, acupressure or Traditional Chinese Medicine. Each muscle we test gives us information about what’s happening in a meridian, and enables us to build up a picture of how energy is flowing through your body. 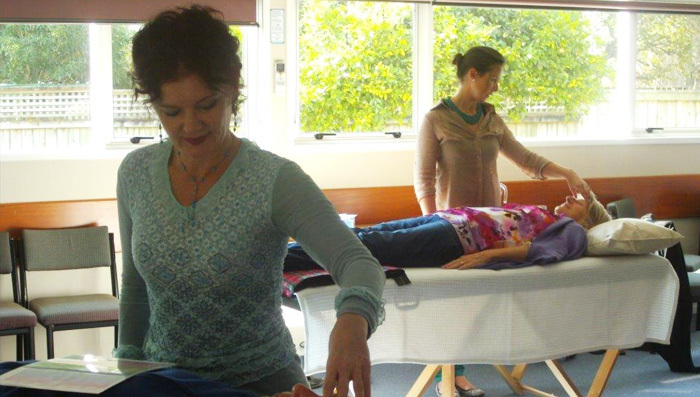 By clearing energy blocks and restoring the flow of energy, we can increase your feelings of energy and wellbeing. For the first session, we would probably do a general “balance”. But we can also add a goal to a balance. If you have a goal that causes you stress to think about, this will disrupt your energy flow and make it even harder to achieve that goal. 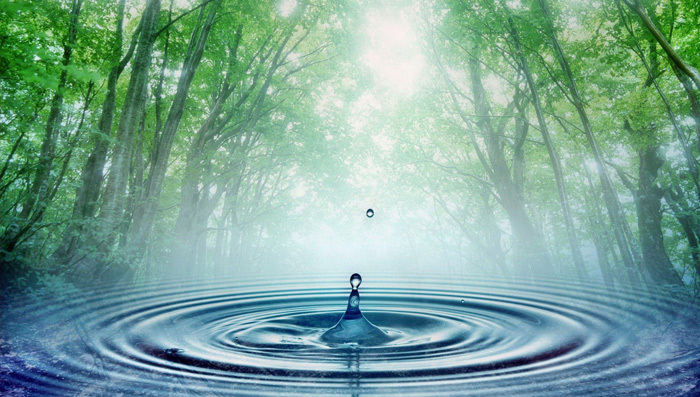 By restoring balance to the energy system while thinking of that goal, it gives you more resources to achieve it. Although Touch for Health is my primary modality, I may also use other forms such as kinergetics, APEC (Accessing the Power of the Extraordinary Channels) or Balancing the 8 Extra Meridians. I am hoping to do the TFH instructor training in 2017, and will then be able to teach clients how to use it with their families. For many different reasons we can develop imbalances in how we use our muscles – injury, weakness in specific muscles, habitual ways of doing things, overuse of a particular muscle (such as using mainly quads when cycling). In time, a pattern develops where the use of one muscle energetically “switches off” another muscle. For example, when cycling you might use your quads but not your hip flexors. If you do a lot of cycling, eventually, your hip flexors might “turn off” whenever you use your quads. This means that there isn’t enough energy flowing through them and they “act” like weak muscles, even if they’re strong. If you have chronic pain, residual pain from an injury, or postural problems, for example, we might look for reactive muscle relationships. Once found we can correct the imbalance, so that there is no longer a reactive relationship. 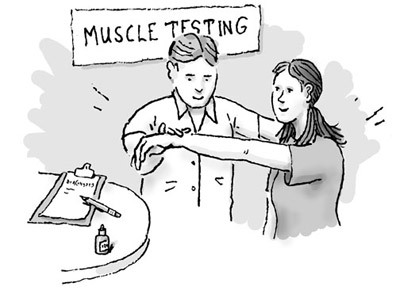 This involves putting a food or other substance near your body and seeing what happens to the testing muscle. This tells us what happens to your energy system when exposed to that substance. Substances that cause weakness can then by eliminated from your diet or avoided, so we can see what effect they’ve been having on your health. We may then want to incorporate a gut repair protocol, so that we can reintroduce some of the foods over time. As well as testing to see what’s bad for us, we can test to see what’s good for us. Just because we don’t go weak on a supplement doesn’t mean it’s right for us, it just means it isn’t bad. There are several ways to check what’s needed. My favourite way is the one I was taught by Wayne Topping of Wellness Kinesiology. This is usually in the context of a session where we’re looking at a variety of possibilities. It might include checking which diet is most appropriate, which form of kinesiology is best for you, what other lifestyle changes might be beneficial, and whether it would be helpful to see a different type of therapist.